This post is an update and supersedes our original Water Group Buy as we were able to add another Tank that allows participation anywhere in the U.S.! During my church’s recent emergency preparedness drill, I discovered that while many people are doing well on their three month supply of food storage, very few had any type of water storage system. 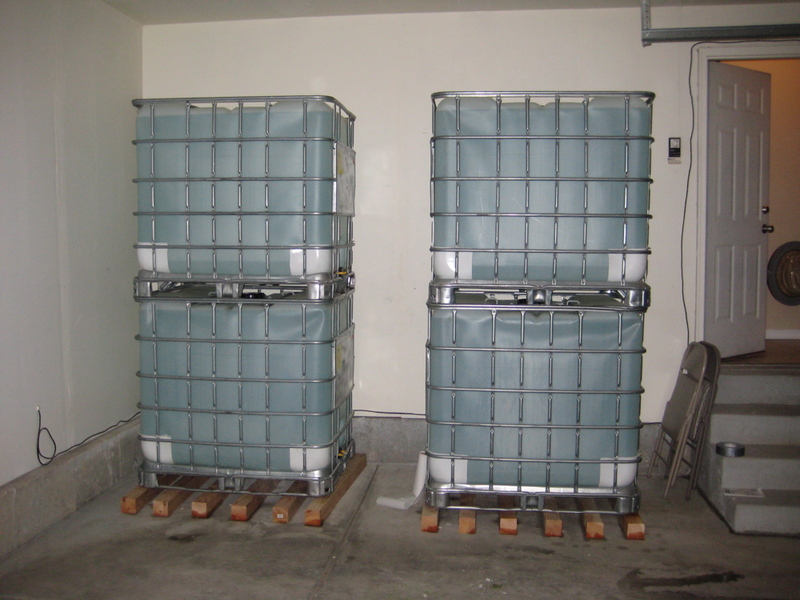 To help correct that, we have arranged for group buys on two different high-capacity water tanks, both of which store the equivalent to five 55 gallon drums! The metal cages allow you to stack, if desired, and protect the hard plastic bladder. These are fantastic tanks because they have a cap on the top for easily filling them w/ your garden hose (or other source), and a spout on the bottom so that gravity is used to create water pressure. This is a far superior system to your standard 55 gallon blue water tanks, which are nearly impossible to stack well, and which require a pump to draw the water up and out. The second option is the 275 gallon “doorway” tank by SureWater. This tank is oval shaped and designed to fit through all standard 29″ doorways and only uses 7 square feet of floor space (less than half the space as 55 gallon drums). It also has a spigot at the bottom allowing for complete drainage, but it also includes one two feet up making it easy to fill a bucket or pan. It also includes a man hole in the top that can be used to get inside for some reason (such as cleaning). The biggest benefit by far is convenience. There is no solution easier than this for accessing and rotating your water supply. While 55 gallon drums require siphons or pumps to retrieve the water, the SureWater tank allows you to simply turn a spigot as you would at your kitchen sink. You must live between Payson and Salt Lake City in the valley (email me for possible exceptions). 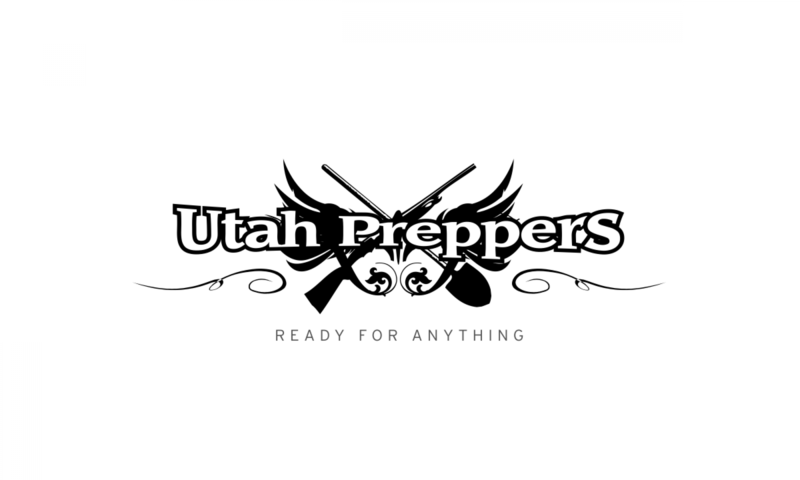 The price is $245 per tank, plus $25 home delivery fee for anywhere in Utah valley. (So, as an example, two tanks would be $515.) You’re welcome to get together with others and consolidate your orders in order to save on the delivery fee. These tanks are rarely offered for direct consumer purchasing, and through many other outlets can easily cost double this price! See here for one comparable tank. Checks only, made out to PROVCO (not me!). Checks should be mailed to me. When you comment below or email me with the number you would like to order, I will email you my mailing address to which you can send the checks. I will collect these checks and forward them all on to the company processing them. They will not be cashed until the order is processed. Estimated delivery date is somewhere during the week of June 29 – July 3. I will email those who have placed an order w/ any updates I receive. If you cannot be home during the delivery day/time, they will simply be left on your driveway. The price for the SureWater tank will depend on how many orders we get. The more interested parties, the lower the price will get. With enough orders, we can get the units for $345. Delivery in Utah and Salt Lake Counties to group locations is included as well as the essential parts to install and use. For other locations in the continental US, the cost of shipping is $45-$65. Email Wade to place your order by June 20. Feel free to share this order with friends! Those 275 gallon ones are awesome! You would need a solid foundation to put them on. But those a real cool. One week left on the group buy. Get your orders in! Tell your friends and family. This is an excellent way to get your water prep done all at once. Several individuals have expressed interest in the 525 gallon tanks that SureWater also offers. These units are also available as part of the group buy. They are $470. We have extended the deadline for placing orders on option 2 a week and a half. You now have through the end of the month (30 June). We are starting the process of processing orders now however. Whether you have already expressed interest or requesting a unit for the first time, we need contact information (phone and email) through which you can be reached to arrange payment. Payment options include cash, check, or visa/mastercard/discover. Please email orders for option 2 (size and quantity) to Wade beginning now but no later than the thirtieth. The group buy is now closed. Really like the idea of above-ground water storage. However, the basement is out as a place of storage and we don’t have any room in our garage. Any orders going in this year?